It’s enough to make parents despair over their children’s career prospects, he acknowledged, and that’s why he’s publishing a pair of follow-up books, “Parenting for Robot Futures.” Part 1: Education and Technology is now available on Amazon.com. “If we want our children to flourish in a technology-rich future, we need them to understand technology deeply— so deeply that our kids influence the future of technology rather than simply being techno-consumers, along for the ride,” he writes. “There are no shortcuts to developing tech fluency, and there is no way to outsource the parent’s role to school, after-school or video games,” Nourbakhsh writes. 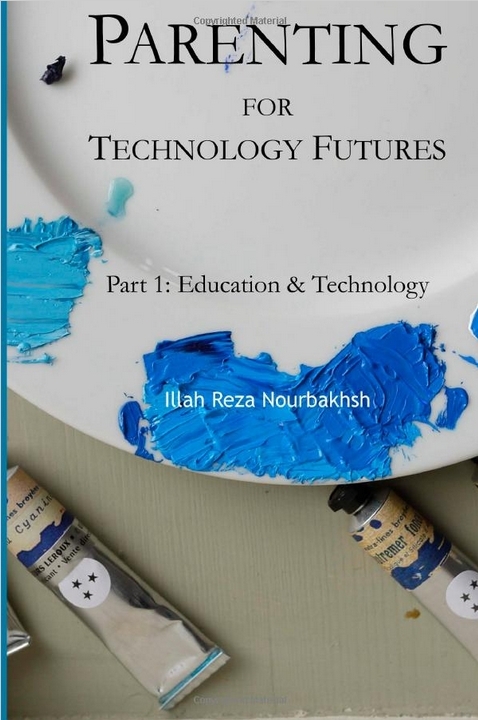 In the 64-page first volume, Nourbakhsh provides an overview to help parents understand the strengths and shortcomings of technology education in schools, including the movement to STEM (science, technology, engineering and mathematics) education, digital learning and massive open online courses, or MOOCs. He also emphasizes the important roles that parents play, noting students only spend 20 percent of their time in school. Even if parents don’t consider themselves technologically fluent, they can help their children achieve fluency with sufficient time and effort. Owning a computer is not essential to a child becoming technologically fluent, he noted, but a parent does need to devote time to the process. He suggests educational resources that are available to parents, some at little-to-no cost. Though an upcoming second volume will go into step-by-step detail on how parents can help their children embrace technology as a tool, rather than fear it, the first volume includes some suggested activities. For instance, one exercise Nourbakhsh recommends is creating a “Producer/Consumer Table.” Sit with your child and compile a list of ways she uses a computer. Then rewrite the list into a series of columns: Produce, Interact, Consume. Activities that involve watching shows, reading cartoons and looking at other people’s blogs and galleries should be placed in the Consumer column, while activities such as writing poems, creating a picture blog and editing videos would be placed in the Produce column. Activities such as running a touch-typing tutor, playing games or using Khan Academy would be categorized as Interact. At Carnegie Mellon, Nourbakhsh directs the CREATE Lab, where research projects include such educational programs as integrating robotics into non-technical school subjects, developing a robot that helps students learn computer programming and a program that encourages students from kindergarten and up to explore the workings of their toys and learn about electrical circuitry. I’m not sold on the importance of teaching children technology. While some children have a technology-impoverished environment, most do not and take to technology readily. I am concerned about the opposite — children ceding their thinking to technology. We saw quite a bit of concern in this area decades ago as handheld calculators became common. I don’t really put memorizing multiplication tables in the category of thinking, but I think you can see the point. It’s far too easy for people to rely on technology for things that they really should be doing themselves. Thinking consists of reflecting, pondering, deciding after due consideration, and similar processes that involve some rather heavy lifting on the part of people’s brains. As with the use of labor-saving devices, we can allow our thinking abilities to atrophy or not be developed at all. Those labor-saving devices have left us relatively weak physically, so much so that businesses make billions of dollars from providing artificial means for exercise. Mental weakness is another thing entirely. To be able to perform jobs in a era of ubiquitous robots, people will have to be able to think well, to fill in the enormous gap between what robots can do and what companies and society require. Sure, technology is necessary to communicate your thoughts in today’s world. You have to have basic technological literacy for that. Advanced technology expertise should be left to specialists. Let us bring all children up to basic technology literacy by all means, but that’s a very small and declining percentage. Use technology when appropriate for helping in learning to think. However, do not substitute teaching technology for teaching good thinking habits. Our future citizens must learn to think creatively, skeptically, and rationally. These are not intuitive. They must be taught by others or by experience. The latter being rather hit or miss, the former must be preferred. It’s never easy, but the most important things never are.